Meredith, NH -- Welcome to the Lake! 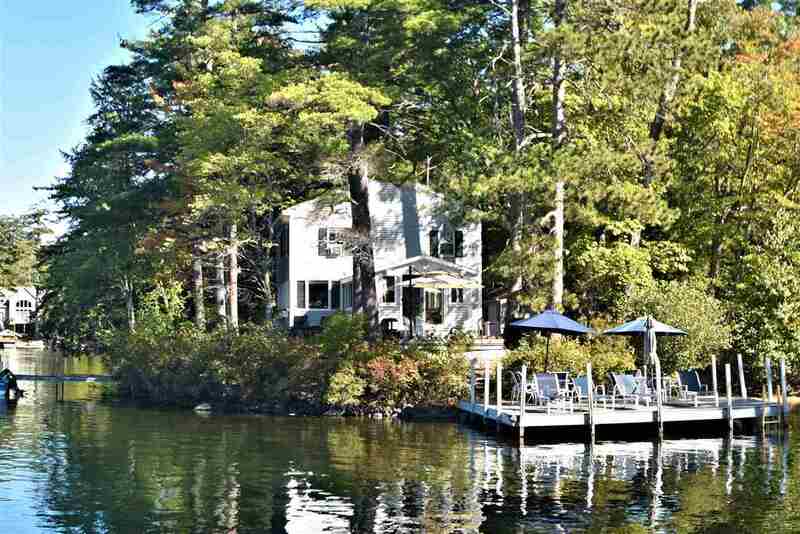 Enjoy ease of lake living at this three bedroom, one bath seasonal home on beautiful Lake Winnipesaukee. The property is located in the desirable town of Meredith and is beautifully sited on a point of land with 336 feet of lake frontage offering a view like no other. With westerly exposure, you&apos;ll drink in the fabulous sunsets and appreciate the protected, deep water docking that Tommy&apos;s Cove offers. The main floor provides an updated kitchen, a small guest room and a large living room with a bank of windows to take in the view. There are three bedrooms and a full bath on the second floor. The over sized screened porch is perfect for long summer evenings and spills into the numerous outdoor living spaces including an exceptional waterside deck drenched in sunlight. This property offers ample docking and canoe/kayak storage as well as a storage shed with full laundry room for your projects and tools. Two lots of record, one of which houses the state approved, four bedroom septic system. This property is low maintenance and ready for you to make your own!